The Human Life Review Is the IRS Targeting Prolifers? Is the IRS Targeting Prolifers? While it is clear that the IRS has targeted Tea Party groups for special investigation, it appears that the agency may also have focused on religious, pro-life, and pro-marriage groups and individuals—refusing them tax-exempt status, and sometimes, as in the case of the Coalition for Life of Iowa, demanding that they discontinue some of their pro-life activities. Christian Voices for Life in Sugar Land, Texas faced similar demands for additional documentation from the IRS when they applied in 2010. An IRS letter dated March 31, 2011, asked Marie McCoy, the founder of the pro-life group, whether she provided education on both sides of the issue of abortion. This request was a clear violation of IRS guidelines. In 1980, the Court of Appeals for the D.C. Circuit ruled that groups did not have to present both sides of an issue to qualify for tax-exempt status. According to IRS guidelines, organizations have to be charitable, educational, religious, or some combination of the three in order to qualify for tax-exempt status. But Christian Voices (like Coalition for Life of Iowa) was required to meet a much more restrictive requirement—one that went far beyond what the law required. In the denial of their IRS application for tax-exempt status, the IRS questioned their involvement with “40 Days for Life” and the “Life Chain” events. On August 1, 2013, the Thomas More Society submitted a memorandum to Congressman Aaron Schock (IL-18) of the House Committee on Ways and Means, detailing additional evidence of continued IRS targeting of pro-life organizations. This was a follow-up—and an extension—of an earlier memorandum the society sent to Rep. Schock in May, 2013, when the Thomas More attorneys documented what they described as “harassment” of three pro-life groups.4 The August memorandum documented six different groups that have experienced viewpoint-biased discrimination by the IRS, dating back to 2009 and involving multiple IRS offices and agents, including those in El Monte, California; Chicago, Illinois; and Cincinnati, Ohio. According to Peter Breen, vice president and senior counsel of the Thomas More Society, “We have now produced irrefutable evidence of six clients whose First Amendment rights were trampled upon by the IRS because of their position upholding the sanctity of life. Even after public disclosure of this wrongdoing, the Obama Administration’s IRS has refused to cease its illegal activity.” Breen has promised to “continue to aid Congress in its investigation until those responsible are brought to justice and the IRS is made to respect every American’s constitutional rights.” Since the release of their May memorandum to Congress, the Thomas More Society has been contacted by “additional organizations seeking legal counsel related to IRS issues.” Their August memorandum to Congress highlights three of these entities as having experienced illegal targeting by the IRS: Cherish Life Ministries, LIFE Group, and Emerald Coast Coalition for Life. 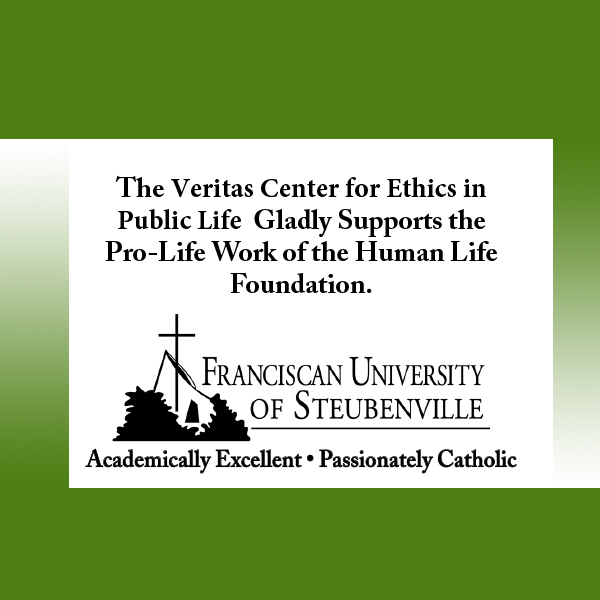 According to their press release on August 1, “the recent experience of several pro-life organizations applying for 501c(3) charitable recognition reveals blatant bias on the part of the IRS agents assigned to process these applications.”6 Repeatedly these pro-life groups were subjected to what society attorneys have identified as “lengthy unconstitutional requests for information about the viewpoint and content of its educational communications, volunteer prayer vigils and other protected activities.” In addition, these groups were advised that they must educate and advocate on abortion from both sides of the issue. In other words, the pro-life groups were told by the IRS that they must present a pro-abortion message as part of their educational mission. Confirming the disclosures by the Thomas More Society that pro-life groups were advised by the IRS that they must present a “balanced” approach to abortion, the Christian legal group Alliance Defending Freedom has released audio clips of a telephone conversation on March 8, 2013, in which IRS Exempt Organization Specialist Sherry Wan told Ania Joseph, president of Pro-Life Revolution, that in order to obtain a tax exemption, “you cannot force your religion or force your beliefs on somebody else . . . .You have to know your boundaries, you have to know your limits.”7 The IRS has approved applications for tax exemptions for pro-abortion groups including Planned Parenthood and Life and Liberty for Women, yet it demands neutrality on abortion from Pro-Life Revolution. Similar experiences were reported by Peter Shinn, founder of Cherish Life Ministries, a pro-life coalition of churches that “support mothers struggling with unexpected pregnancies, promotes abstinence and advocates for an end to abortion in the community, state and nation.”10 In an interview published at WorldNetDaily, Shinn disclosed that his application for tax-exempt status by the IRS was declined: “The representative was telling me I had to provide information on all aspects of abortion. I could not just educate the churches from the pro-life perspective . . . . Every time I pressed her on this issue and asked her to clarify her position, she would state that it wasn’t what she was saying, and then, she would repeat it almost the same way.” Shinn claimed that the IRS was accusing him of setting up a political organization: “I asked her why she said we were a political organization and she said it was because we had said in our application that we did less than 5 percent political activity. I explained to her that this was what was stated in the application and all we were doing was acknowledging that we were doing less than 5 percent political activity.” Shinn also said that the IRS agent accused him of having links to political activity on his website, even though he said he did not. While Cherish Life and LIFE Runners finally received their exempt status after legal interventions, as of this writing, Emerald Coast Coalition for Life is still waiting for their response from the IRS. According to Katrina Trinko, the IRS letter to Emerald Coast stating that the organization would need the Exempt Organization Specialist was signed by Lois Lerner—the infamous IRS official who had formerly been in charge of tax-exempt organizations until she was placed on administrative leave for refusing to testify before Congress on whether the IRS inappropriately targeted conservative groups. The letter from Lerner, which Emerald Coast received September 7, 2012, informed the group that the IRS would be in touch in approximately 90 days. The IRS did not contact Emerald Coast, however, until June 19, 2013—285 days later. Until the Inspector General is willing to release data on the percentage of organizations seeking tax-exempt status with “Life” in their name, we will be unable to conclude that these organizations were systematically targeted. However, the anecdotal evidence gathered by the Thomas More Society and the Alliance Defending Freedom appears to show bias against the pro-life groups—requiring them to produce evidence that other organizations have not had to produce. Two years ago in May 2010, when Michael Iannotti, an IRS agent with the New Haven IRS office, called my home to notify me that I was being audited, I was not terribly surprised. While my husband and I had never been audited throughout our 39-year marriage, I knew that the Obama administration had greatly expanded the offices of the IRS, hiring additional personnel; I just assumed that we were among the many more audits the agency was doing that year. But, when the agent said that it was I who was being audited—and not my husband—and refused my request to have the CPA who has done our family’s taxes for 20 years meet with him as my representative, I began to wonder why I was being singled out. I make a small fraction of our family income. When the agent informed me that it was my business income and expenses—my writing income—that was being investigated, I began to worry that I might have published something that triggered this audit. After all, I had been critical in my publications of the public funding for abortion that was very much a part of the Affordable Care Act. In March 2010, I had published a piece in the Wall Street Journal entitled “Health Care Reform and the President’s Faithful Helpers,” which identified progressive Catholic groups such as Catholics United—a 501c(4) organization—and its sister organization Catholics in Alliance for the Common Good—a 501c(3) organization—that were helping to pass the health-care law, replete with funding for abortion. I pointed out that George Soros was supporting Catholics in Alliance for the Common Good—which was sharing money with Catholics United in what appeared to me to be a kind of money-laundering scheme. I also published articles describing these groups in Catholic World Report and in the online publication Catholic Advocate. Chris Korzen, president of Catholics United, and formerly an organizer with SEIU, was especially angry about the articles I was publishing. In late March, he called in to a radio station (Al Kresta’s program on Ave Maria Radio) while I was being interviewed on the air to say that I was “lying” about the fact that Soros was supporting him. Fortunately, I had the IRS 990 forms (from GuideStar) from Catholics in Alliance for the Common Good and Catholics United in front of me during my interview with Korzen and pointed out that during the same year he was working full-time for Catholics United, he was being paid $84,900 from Catholics in Alliance for the Common Good, a Soros-supported organization. In May, when the telephone call from the IRS came, I did not identify a possible connection to my publications—until the requests for documents began. Almost all of the requests focused on deposits into our bank accounts—payments for articles or speaking engagements. The actual audit occurred in the federal offices in New Haven. I was allowed to have my tax accountant on speaker phone (he is out of state) to help. The agent was polite and the process was not onerous but again, it was focused primarily on deposits into our bank accounts—most of them very small deposits. He demanded to know the source of one larger deposit (a $12,000 deposit), but it turned out that the deposit was actually a refund check from the IRS itself. The agent continued to ask for documentation for additional deposits for several months in 2010. And, when it was over, I began to wonder if I had been chosen by the IRS for a reason. I never made my concerns public—except with family, friends, and a few of my colleagues and students. I did tell the staff at the Catholic Advocate, because I decided that it would be best for my family if I did not write for them anymore. It seemed like a more political site—they are a 501c(4) organization—than I usually write for, and I decided to stop writing for them because of the audit. Since that time, I have learned of others—some of them pro-life advocates—who have been similarly chosen by the IRS. It seemed to me to be related to activities related to the passage of the Affordable Care Act. Most notably, Bill Donohue, the president of the Catholic League for Religious and Civil Rights, was notified by the IRS that he had been selected for an audit. But, unlike me, Bill Donohue has proof that it was Chris Korzen of Catholics United—the same Chris Korzen who called in to the Kresta radio show to accuse me of lying about his income—who triggered the audit. It is likely that we may never know who or what triggered our audit without a lengthy appeals process—but like many of those in the pro-life community, we are not inclined to pursue litigation with the IRS at this point. 15. Lynn Walsh. “Revisiting an IRS FOIA request: Did the Government Do Its Due Diligence?” Society of Professional Journalists. May 22, 2013. Anne Hendershott is Professor of Sociology and Director of the Veritas Center for Ethics in Public Life at Franciscan University of Steubenville, Ohio. She is the co-author, with Christopher White, of Renewal: How a New Generation of Catholic Priests and Bishops Are Revitalizing the Church (Encounter Books, 2013). 1,909 people have visited this page. 1 have visited this page today.